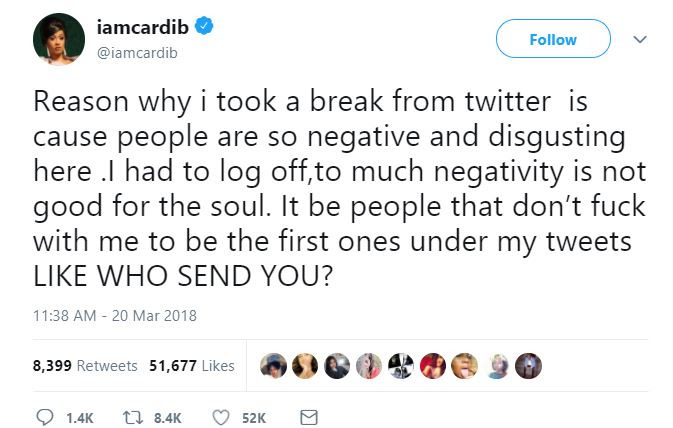 Cardi B took a break from Twitter for about a month, returning this past Sunday. Now she is back and she has explained why she initially left. 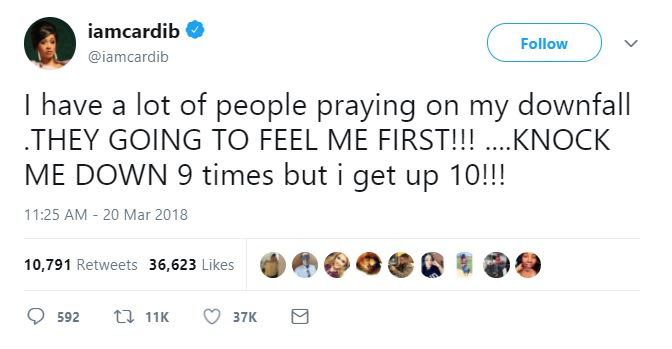 The Bodak Yellow star cited negativity as the reason for her withdrawal from the social network.